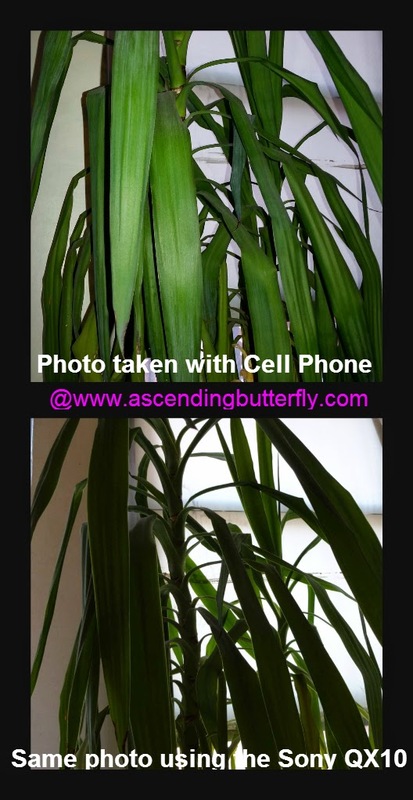 Ascending Butterfly: Want to improve the quality of your #WordlessWednesday #photos or take a more stellar #Selfie? Try the @Sony #QX10 on for size! Want to improve the quality of your #WordlessWednesday #photos or take a more stellar #Selfie? Try the @Sony #QX10 on for size! Remember my Mom 2.0 Summit Conference recap post where I referenced a cool device that 'wowed' not only my fellow Best Buy Blogging Ambassadors, but also everyone who hit the Best Buy Booth? (If you missed my conference recap you can check that out HERE), but as promised I wanted to give you the full 'T' on the Sony QX10! 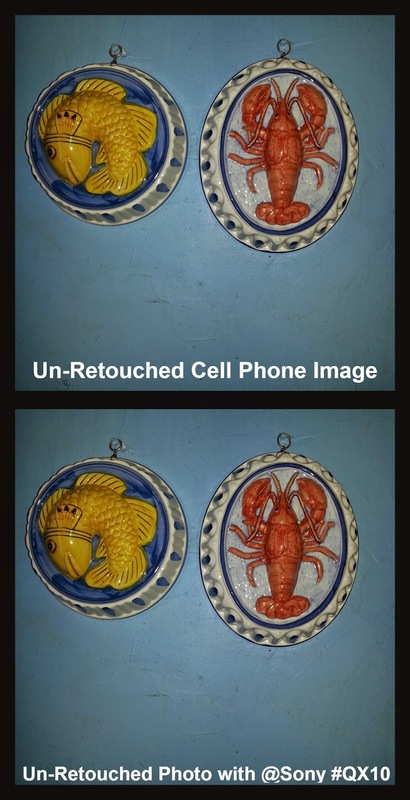 I have been trying to get better at keeping my Wordless Wednesday's truly 'Wordless' but since the point of the day is to showcase stellar photography from across the blog-a-sphere I thought a device that can help you take your phone and turn it into a DSLR might just Pique your interest. You can press on the photo above to purchase the Sony QX10 at Best Buy! As you can see the QX10 captured more detail and were brighter on their own. Remember the QX10 is an attachment device to your cell phone, so it has no flash and no LCD viewer. Ƹ̵̡Ӝ̵̨̄Ʒ - Versatility - Does make it easy to capture 'awkward' shots or angles you may not be able to capture as easily with a bulkier camera. When I am at event or crowded venue I have become the queen of the 'overhead' shot, this device is certainly easier to hold over a ton of heads in a crowded space and shoot pointing down. And yes it does help to make Selfies a bit easier to capture! Ƹ̵̡Ӝ̵̨̄Ʒ - The software is a bit slow and still a bit buggy, this lag may cause you to miss 'action' shots, there is no burst mode. Ƹ̵̡Ӝ̵̨̄Ʒ - The bigger your device, the harder your 'snap fit' experience may be. With my Galaxy S III it isn't a totally secure fit and would sometimes depress the button that puts my phone in standby. So be careful not only with your placement, but also be sure you remember it is a detachable lens so don't make any 'jerky' movements while it's attached to your phone as you could inadvertently knock it off and drop it. Ƹ̵̡Ӝ̵̨̄Ʒ - A microSD needs to be inserted to store photos and the attachment also has it's own battery - you need to be sure you are keeping both your phone and the attachment fully charged. If you have already been researching this unit, the QX10 is specifically geared toward entry-level shooters, it offers mid-range optics (way better than your cell but not the same manual control over the creativity of your shots as a full on DSLR offers) and the other model from Sony the QX100 offers a stronger 20.2 megapixel sensor and a 'stronger' lens so obvs a bit higher price point, but I have a feeling that once you are considering the QX100 you may end up opting for a full DSLR to get more control and creativity in the outcome of your photographs. Happy (Not So) Wordless Wednesday - Bloggers as always, leave us a link to your Wordless Wednesday Photos so we can check them out too, just remember, no giveaway posts please! FTC Disclosure: I'm a Best Buy brand ambassador and received the Sony QX10 for review purposes. No other compensation was received. All thoughts and opinions are my own. I am disclosing this in accordance with the Federal Trade Commission 16 CFR, Part 255 - Guides Concerning the use of endorsements and testimonials in advertising, you may check our Giveaway and Disclosure Page for additional information regarding Ascending Butterfly Disclosure. Not so sure yet if I want to buy the Sony QX10 but it 's good to see your review and some of the other bloggers it really gives me something to think about !